I ended up taking a free course on Udacity for Android development which was taught by Google employees themselves. I was able to dedicate 100% of my time and focus on studying and I had not a single distraction to disturb me during that time, so I had no excuse not to learn anything. In fact, I ended up studying Android development for about 2.5 weeks, studying and practicing everyday for 6-7 hours. The course started from the absolute extreme basics, showing how to install the programming software, moving onto explaining XML, then later the absolute basics of programming such as strings and declaring/assigning variables. Again, I did have some basic programming knowledge so this was already super easy to me, but it was for a new language and platform so I didn’t want to skip over anything. The courses were super fun and rewarding, too. You follow along with video tutorials which are extremely high quality and nice and slow, with the instructors going over everything very slowly and clearly. …that is, until I came across the dreaded WordAdapter (custom ArrayAdapter) section. See, this was a bullet to my brain because it came out of nowhere. Up to that point, the courses were very easy and sometimes even slightly frustrating as the teachers would go over the same basic thing many times over even though it was already obvious. But then they suddenly jump into this custom ArrayAdapter section and suddenly everything is a trillion times more difficult! I felt like they literally went from level 2 in difficulty to level 75. I could understand the rough idea and gist of what this new lesson, but not enough to where I could continue properly. I continued on the course, not understanding what I had just did properly, but then the ArrayAdapter came up again and I just couldn’t cope. It wasn’t just the concept and invocation of the ArrayAdapter either, but in general and in the past I have always only been capable of programming up to a certain degree. My brain just can’t comprehend anything beyond relative basic programming it seems. I tried my hardest to continue, but just couldn’t, and so eventually gave up. I had posted a plea for help on the Udacity forums explaining that I hit a wall, and fortunately I wasn’t alone here – many people hated this section and had trouble with it, although must managed to push on and encouraged me to do so as well. Unfortunately, it was just too much for me and I had to give up. I was very disappointed since I gave it my all and devoted a lot of my time and effort towards trying to learn Android, but I also knew my limits and had to call it quits. The following are various apps I made by following the Udacity courses. I made a number of other apps completely on my own as well, but unfortunately I had already deleted them a while before writing this blog post so I don’t have any screenshots of them. One of them that I can recall was an app for a local realtor (I just used placeholder images and info) with multiple screens and a simple built-in calculator. 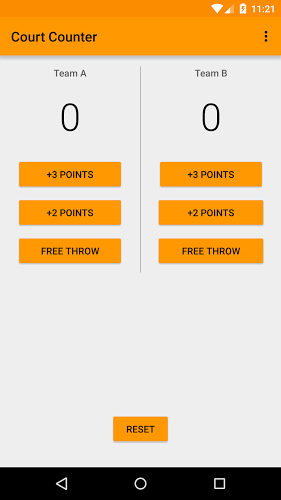 A simple basketball scorekeeper app. It looks simple, and it is, but it takes a LOT of learning just to get to this stage! 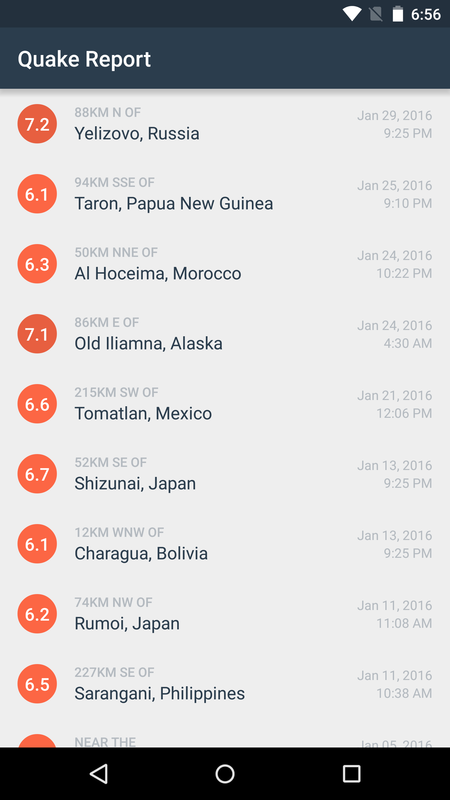 This was a networking app that took real live earthquake JSON data from the web. 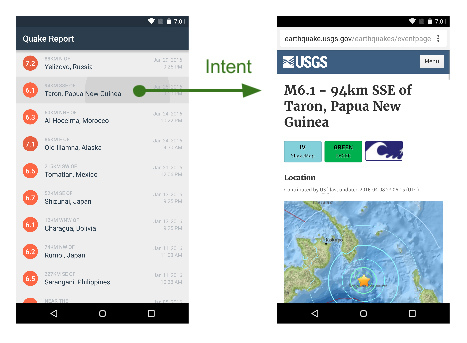 The “Miwok” app – an app that took a massive course to complete. 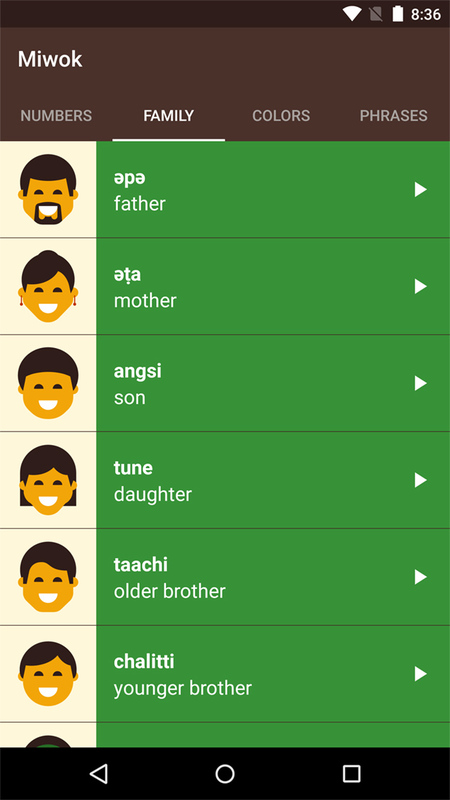 It has multiple screens and plays audio of another language to help users learn vocabulary. Near the end of the course is where the custom ArrayAdapter class took place. So…. programming is not for me. I just don’t have the brain for it. But I gave it a shot and know my limits now. 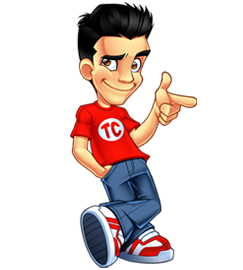 This blog – and you for yourself – has to find it´s true purpose and it´s real skills. You can’t learn programming in 2 weeks. There are some concepts that take longer to comprehend, and you can’t just go around this by studying harder. I would recommend reading more about MVC pattern before jumping into an implementation of the AdapterView. The key question is not how much you progressed in two weeks, but if you enjoyed coding. If the answer is yes, then I can only encourage you to continue. I htink you started with the wrong course. You should have started with Berkley cs61a where you learn computer science concepts like abstraction. Learning is never stopped what ever we do or how much we are older in age. We can learn till the death bed. Either going to school or college or studying on own. It’s ok. People fail & learn from it. You inspire many by this blog. Thanks. Interesting content. Tks for sharing! Learning is never stopped what ever we do or how much we are older in age, so one should keep on learning..